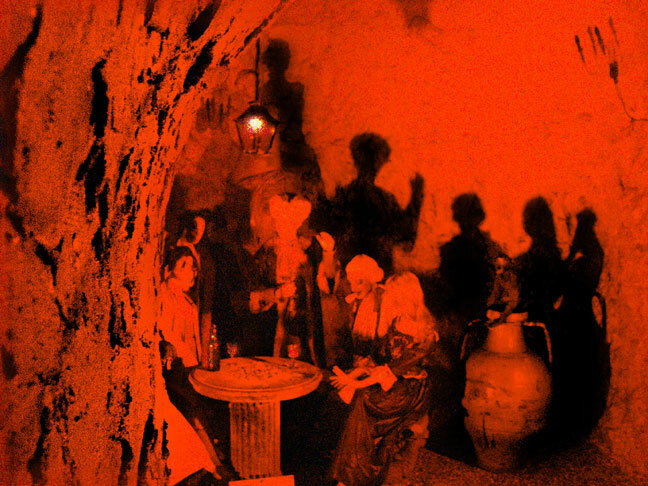 The caves at West Wycombe were said to be home to the Hellfire Club, an 18th Century gang of respected gentlemen who indulged in dark satanic rites. Their leader, Sir Francis Dashwood was a good friend of Benjamin Franklin. In 1752 the Devil was said to have appeared here in the form of a monkey as the Club drank the night away in the company of women dressed as nuns. Today the caves are said to be haunted by the sounds of a monkey and a woman laughing in the dead of night.